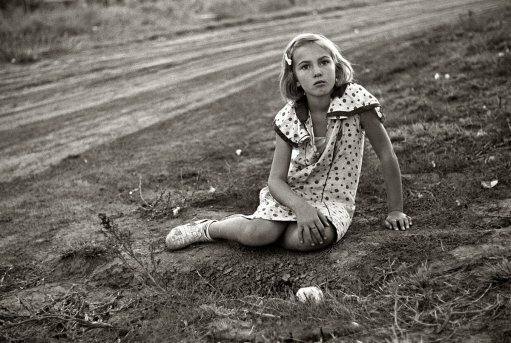 Farm girl, Seward County, Nebraska, 1938. Photo by John Vachon. Among the millions of photos on the Library of Congress website are the Depression-era collection taken for the Farm Security Administration, the Office of War Information collection taken during World War II, and the National Photo Company collection of Washington, DC-area people and scenes. There was a political and social purpose to these pictures. But many years later, they have become the best record we have of what people looked like, living their lives in the first half of the 20th century, and what the American vernacular landscape looked like as well. In many cases, the people in these photos were not identified by the photographers, leaving us with an enormous picture album of anonymous members of the American family, and a treasure chest of unfinished stories. And so, I am trying to identify some of the unnamed subjects and find out what happened to their lives and the lives of their descendants in the second half of the 20th century. In some notable cases, I have been successful. In other cases, I have tracked down the stories of persons who were identified. Like the photo of the lovely farm girl above, I find these photos irresistible and very moving. Click the link below to see the photos, and the stories I have have written about them.